When The Trust for Public Land began protecting the farms and ranches in the Madison Valley, we identified O'Dell Creek as key to preserving and restoring the valley's rich habitat. In 2007, working in partnership with the Montana Land Reliance and the ranch's owners, the Laszlo family, we successfully placed a conservation easement on more than half of the 12,600 acre Granger Ranch, which includes O'Dell Creek. Today, the Laszlo family continues its ranching traditions and is dedicated to fully restoring the creek, which was drained and ditched in the 1950s, back to its natural state. The creek now meanders once again, creating important wetlands for waterfowl, migratory birds, and fish on its way to the Madison River. 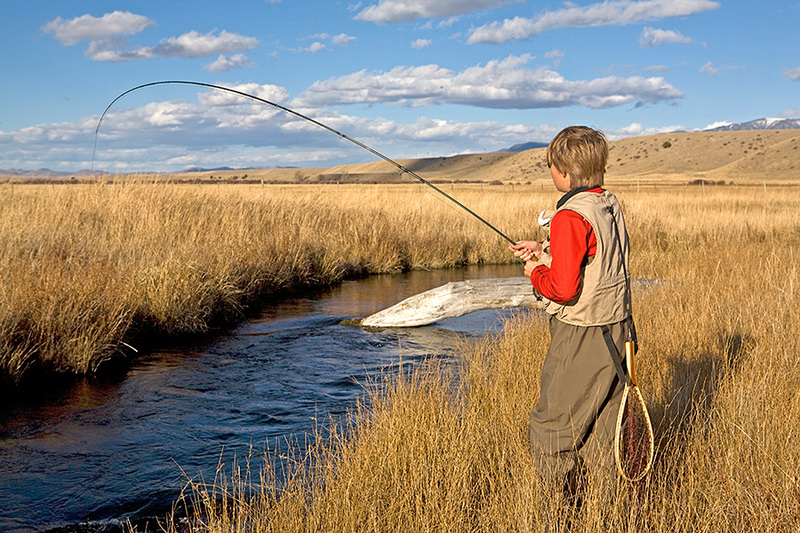 It also now delivers cleaner, colder water into the Madison River year-round and is a blue-ribbon fishery for brown and rainbow trout. Fully 90 percent of all the animal species in the region spend all or part of their life-cycles here at O'Dell Creek. In 2010, the Laszlo family was honored with the Environmental Law Institute's prestigious National Wetlands Award for Landowner Stewardship. In Montana's spectacular Madison Valley, The Trust for Public Land and partners have worked hard to protect and restore critical wetland habitat. The effort's paying off: this summer saw the release of five rare trumpeter swans at O'Dell Creek. The Trust for Public Land and our partners are working to protect and restore the headwaters of O'Dell Creek.